VIPAccessEXCLUSIVE: Trinitee Stokes Interview With Alexisjoyvipaccess At The 2018 Lollipop Theater Network’s Superhero Walk! The marvelous Trinitee Stokes is one young lady who can do it all! From acting to singing, to designing incredibly chic outfits and now, even becoming an author, Trinitee Stokes has truly accomplished well beyond her years and more than some people can do in a lifetime. Did we mention that she’s done all of this at only 12-years-old?! It’s clear to see that Trinitee Stokes is someone who leaves us all speechless with just how admirable, hard-working and accomplished she is. She defines what it is like to be one multi-talented and prolific individual. We’ve seen the outstanding Trinitee Stokes in the spectacular, hit, Disney Channel show, K.C. Undercover. Ever since we saw her on our TV screens, we proudly called ourselves big fans of this dazzling actress. Trinitee is so gifted and she can take on any role with such ease. She is such a delight to watch on our TV screens. In addition to acting, Trinitee Stokes is also passionate about her music and she released her own song titled “Miss Me” that we all love jamming out to on constant repeat. That’s not all! Trinitee Stokes is also known for her super trendy fashion designs as she has her very own clothing line that features some of the most colorful, bright, bold and beautiful outfits that everyone wants to rock. The lovely Trinitee Stokes always has a never-ending amount of exciting projects up her sleeve. In fact, she just recently announced that she authored her very own book titled Bold & Blessed that is set to release on December 4th (but you can pre-order the terrific book already now). Trinitee Stokes is so head-strong and determined and she does everything with so much enthusiasm and class. We’re so happy to see Trinitee Stokes’ success continue to skyrocket in the entertainment industry and we could only imagine all of the other amazing achievements she will have in the years to come. 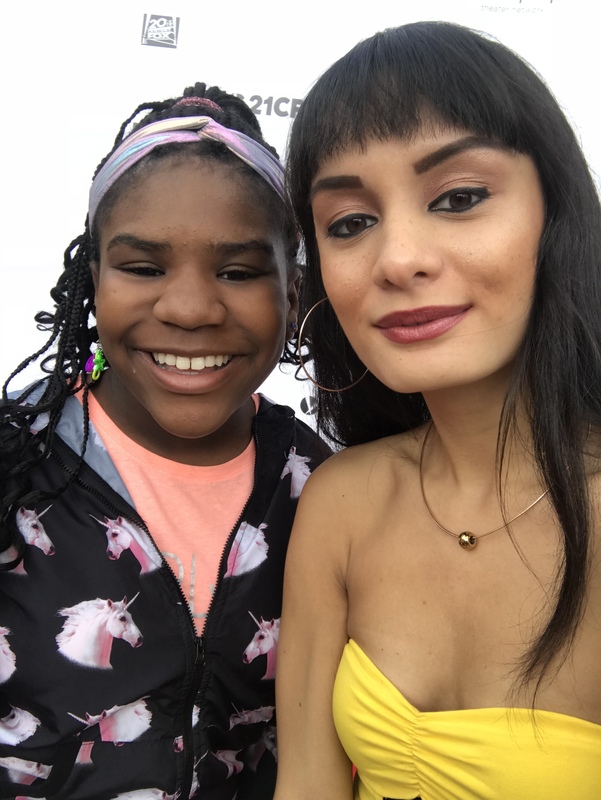 I, Alexisjoyvipaccess had a great time covering the 2018 Lollipop Theater Network’s Superhero Walk and had a wonderful time catching up with and interviewing the fabulous Trinitee Stokes again at the event. Trinitee Stokes dished exclusively to Alexisjoyvipaccess all about what it was like for her supporting the Lollipop Theater Network’s inspiring event, what the process was like for her writing her magnificent book and so much more only in our VIPAccessEXCLUSIVE updated interview. Trinitee Stokes even revealed what superhero movie she would like to star in – hear what she had to say in our VIPAccessEXCLUSIVE updated interview below. Thanks for another fun interview, Trinitee! Check out my VIPAccessEXCLUSIVE updated interview with the radiant Trinitee Stokes at the 2018 Lollipop Theater Network’s Superhero Walk below! Previous VIPAccessEXCLUSIVE: Mason Cook Interview With Alexisjoyvipaccess At The 2018 Lollipop Theater Network’s Superhero Walk! Next VIPAccessEXCLUSIVE: Jadiel Dowlin Talks About Nickelodeon’s “Star Falls” In His Interview With Alexisjoyvipaccess!